What should we do before injection mold test? 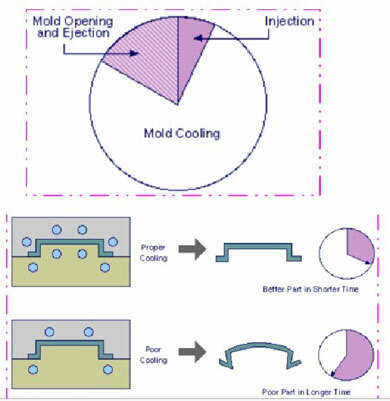 Home » Plastic Injection Molding Basics » What should we do before injection mold test? Mold test is the first work to be done before the mold is used. The purpose of the test model is not only to simply check whether the mold can be used, but also to assess the rationality of the mold design and the exploration of the molding process conditions. (1) Mold closed height, installed in the machine tool with the size of the fit parts, ejected form, mold open distance, and mold work requirements should meet the equipment conditions. (2) The acute angle of the exposed part of the mold should be inverted and the production number should be printed. (3) Medium and large-sized molds should have lifting holes and rings. (5) There should be a mold mark. (6) The surface of the molded parts, gating system should be smooth, without holes and scratching. There should be chrome plated on the mold part which forms corrosive plastic. (7) The flash direction should not affect demoulding. (8) The clearances for each sliding part are appropriate, and the positioning of the starting and ending positions is correct, and the fastening parts of the inserts should be fastened and secured. 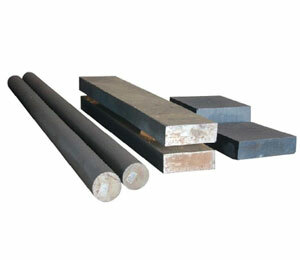 (9) The mold has good stability, sufficient strength, and balanced force at work. (10) Whether or not the molding size of molded parts has been modified. 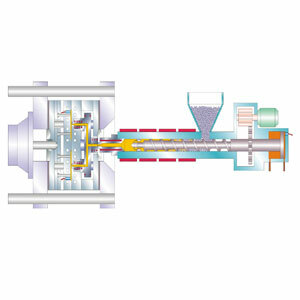 (11) There should be a proper clearance or a reasonable pressure area or pressure shape between the pressure-contacting parts (such as the core, the punch and the extrusion ring, etc.) 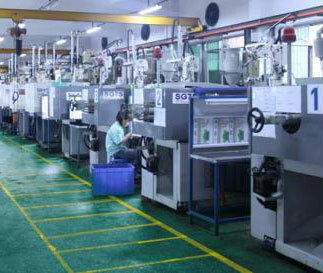 that are in contact with each other during work, so as to prevent direct extrusion of the parts. (12) Before mold test, the oil circuit, water circuit, and electric circuit of the equipment must be inspected, make preparations before starting the machine. (1) There shall be no gap between the pressure-receiving surfaces (or parting surfaces) after closing the mold. (2) The movement of the active core, ejection and guiding parts should be smooth, flexible, with proper clearance, coordinated and reliable actions, and reliable positioning and guidance. (3) The locking parts are reliable, and fastening parts shall not be loose. (4) The ejector part should ensure smooth demoulding in order to take out the plastic parts and the waste of the pouring system. (5) The cooling water system is open, no water leakage, and the valve is used normally. (6) The electric heater has no leakage and can reach the mold temperature requirement. (7) Each pneumatic and hydraulic control mechanism operates correctly and the valve is used normally. (8) The attachment is used well. (9) Check for mold damage after idling test.